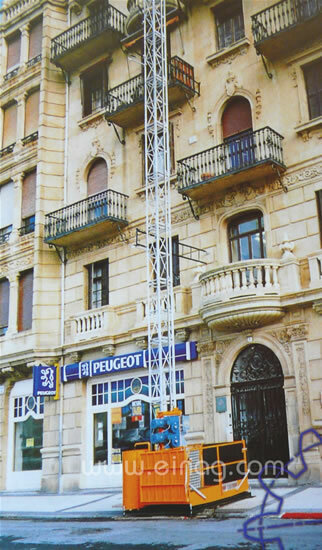 Cable hoists are used to restore the front of buildings, roofs and in new building constructions. 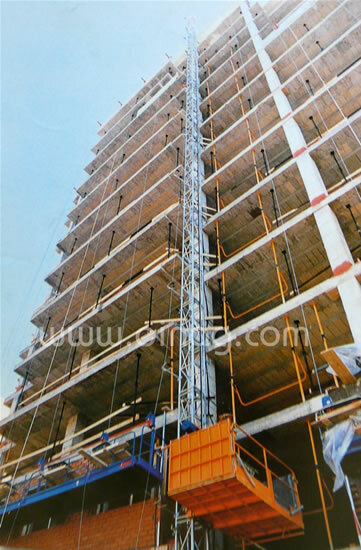 One special feature is that the guide structure uses scaffolds of quick assembly. 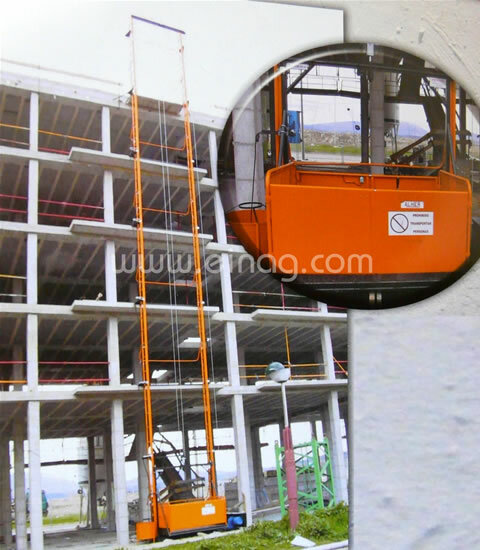 It´s possible to use it for building sites that need an efficient system to raise materials. 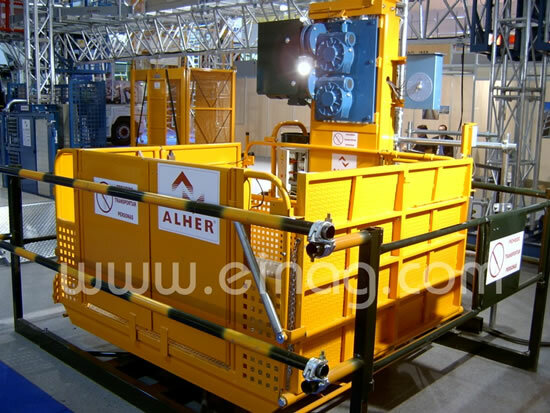 Big variety of loading capacities. 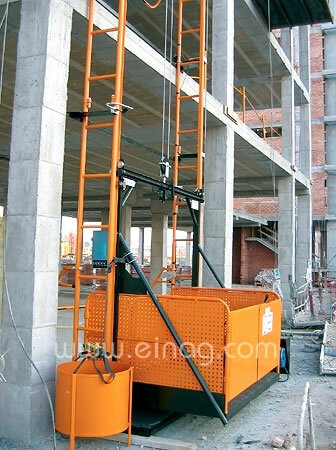 Different raising mechanism by cable or zippers.